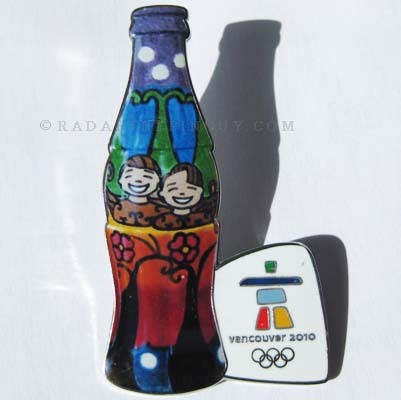 We Congratulate Vancouver and Welcome The World! Bookmark us and come back often. We constantly update this website. 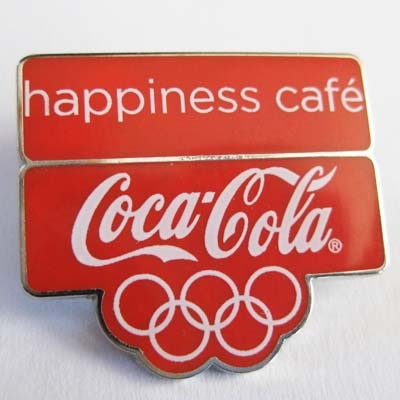 The first official pin issued by Coca Cola. Trofe of Norway for the Torino Games. 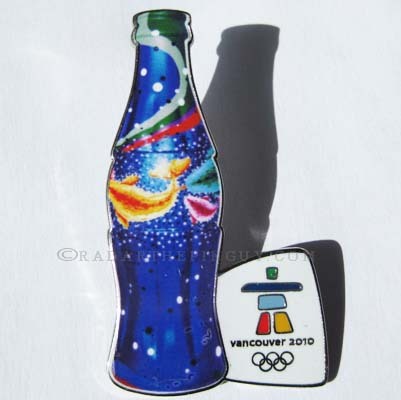 Pin is part of a Coke Cola bottle puzzle set. "Opening Day - 02 Jan 2010 "
the grand opening of the Coke Pin Trading Centre 02 Jan 2010.
in the Coke Pin Trading Centre for a minimum of 3 Hours. 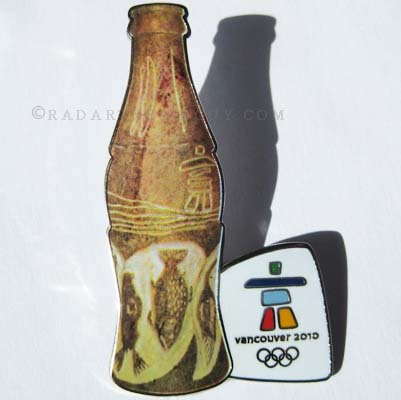 in the Coke Pin Trading Centre at the Airport for a minimum of 3 Hours. 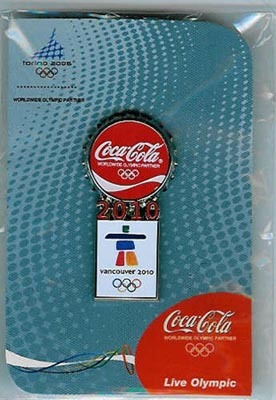 These pins were given out by Minute Maid a subsidiary of Coca Cola. 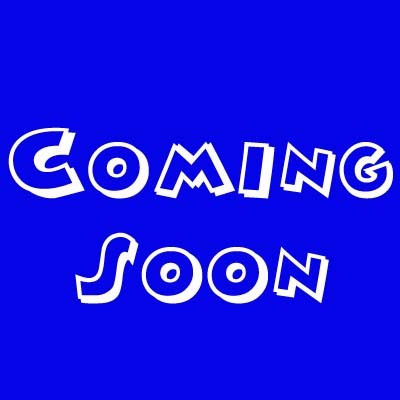 Multiple items will be shipped together to save you shipping costs. Communication is the key to successful transactions. Shop with Confidence! Thank you for your interest! 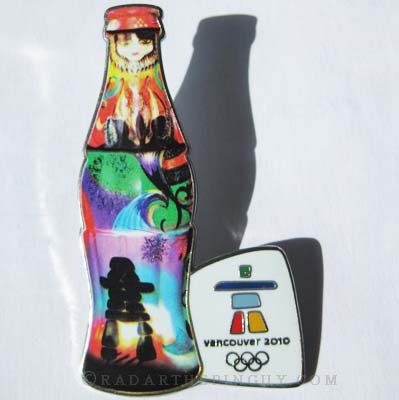 This web site is not endorsed or affiliated with any National Olympic Committee or the International Olympic Committee. 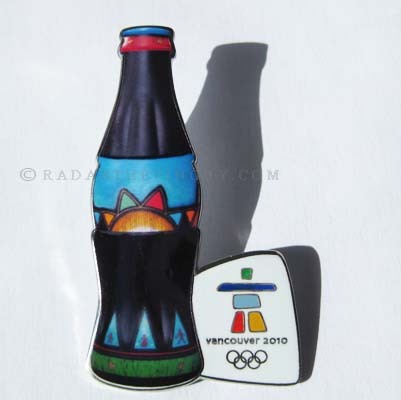 It is solely intended to be used by hobby pin collectors in acquiring pins & information only.